The opinions given in this article are solely those of the author, and do not represent the views of Football America UK. You may have noticed that there have been some major movements in the Britball Universe this week, following the announcement of a new board structure at BAFA. Nine new directors have been elected to help “move the game forward”. Four of them come from a corporate background, and positively, the other five have a Football heritage, which should help them “add value” (note the use of corporate speak). No doubt there will be talk of “blue sky thinking, synergies, directions of travel and positive outputs” over the coming months. No sign yet of a “Mission Statement” or quite what a game that has “moved forward” will look like, but let’s wait and see. Having been in and around the game in Britain for thirty four years, I may be in a position to “add some value” myself, so I detail below my Britball Blueprint for success. For me, “taking the game forward” would be putting us on a par with the bigger European Leagues. That means stadiums as opposed to fields, sponsors as opposed to your uncle chucking the money in for some new balls, and most importantly, import Football players, not just some American bloke who is working in the UK for a year and happened to have played in high school. Paid League Officials – It has often been said that the administrators at BAFA have done a good job, given that they are unpaid volunteers, perhaps so, but paying suitably qualified individuals to act in a full-time role would surely lead to greater and more timely effectiveness (I did see that the new board were estimated to be allocating two hours a week to their BAFA roles), that doesn’t sound like much to me. I propose full time paid “commissioners” for Men’s Football, Women’s Football (Phoebe Schecter I’m looking at you), Youth Football and Flag. There should also be a continuation of the excellent work that Rob Rooksby has done in getting Football on to the school sports curriculum. Competitive versus – Here’s the key change for me. This season there are sixty eight teams competing across three tiers, as you would expect there are massive differences in levels of technical play and team facilities. I would want anyone who wants to play to have the opportunity to pull on some pads, but if we are looking to “move the game forward” I’m advocating a split as follows. A twenty four team flagship British National Football League. Split geographically into six team divisions, in the North, South, East and West, who would play a ten game regular season. The top two teams in each division would qualify for the play-offs, with opponents drawn at random to meet in quarter and semi-finals (no regional separation) this should ensure that the best two teams make it to the final. To play in this competitive structure you would need to meet the following criteria. A squad of at least fifty registered players. A stadium with covered seating (providing catering, toilets and a PA system). Women’s, Flag and Youth programmes. Teams in this league would also need to meet the following requirements. All the players would have to wear matching uniforms (no different coloured pants, helmets and facemasks) if we want to promote this as the top end of the British game, we need to look organised and professional, not like a Sunday morning pub team. Of course, Football America UK would be the uniform and equipment suppliers for the League. Based on current figures the other forty four teams would play in the British Regional Football League (Participative), again with regional divisions, and with the opportunity to become the British Champions for this tier. If they have the ambition to move to the BNFL and can meet the entry criteria, they would have the right to play the bottom placed current BNFL team in their geographically aligned division to gain “promotion”. Import Players – The best way, history would show you, to encourage more people to come to watch games is to allow a quota of import players per team (I’m suggesting three none British Nationals). These players make for a more exciting spectacle, encouraging bigger crowds and more sponsorship. 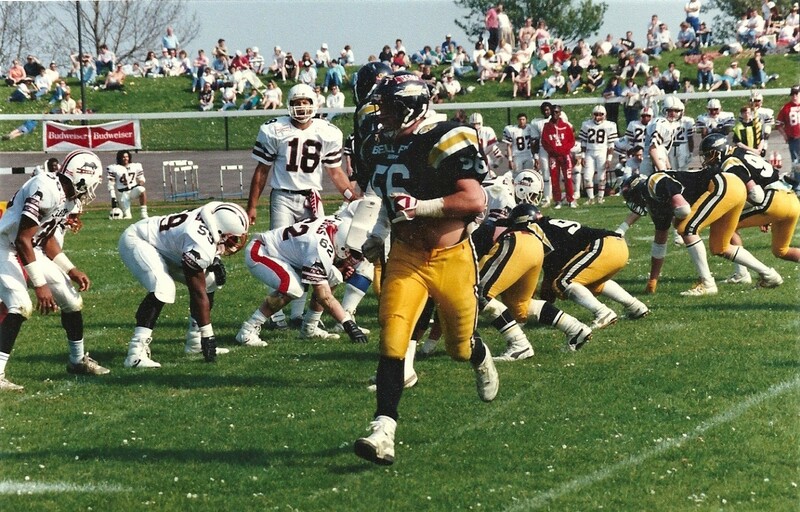 Historically there have been ex NFL and NCAA Division One players in the British Leagues. This was at a time when we were competitive in European club competitions, and what happens in the more progressive European leagues like Germany, Finland and Sweden currently. The imports also have a positive impact in “coaching up” the players around them. To keep things competitive, we need to learn from the past, and from the current situation in the British Universities set-up. In the eighties the teams who were aligned with US Air Force bases tended to do well, utilizing both coaches and players from those establishments. Currently, the universities who have the budgets to enroll US scholarship athletes to come over ostensibly to play Football, are dominating. Durham, Derby and Nottingham are examples of this. The point I’m making here is that to retain a true sense of parity, there need to be limits on import players. British Representative Teams (GB Lions) – All the teams to have a paid Head Coach and a supporting staff who get full out of pocket expenses to fulfill their roles. They should be appointed on a contract that matches the term of any competition that they are guiding the team through (two years of qualifying for and then competing in a tournament means, a two-year contract). They would then be allowed to re-apply for their roles. Media (Social or otherwise) – With the advent of social media there has never been a better and easier way to “spread the word”. For the BNFL I would engage the excellent Onside Productions to broadcast a “Game of the Week” featuring different teams each time. They could also put together a weekly round-up show, detailing the latest results and news for their YouTube channel. I would also have the team at Double Coverage to act as the news and social media arm for the sport, given that they have their finger on the Britball pulse. Both of these outfits should be paid. 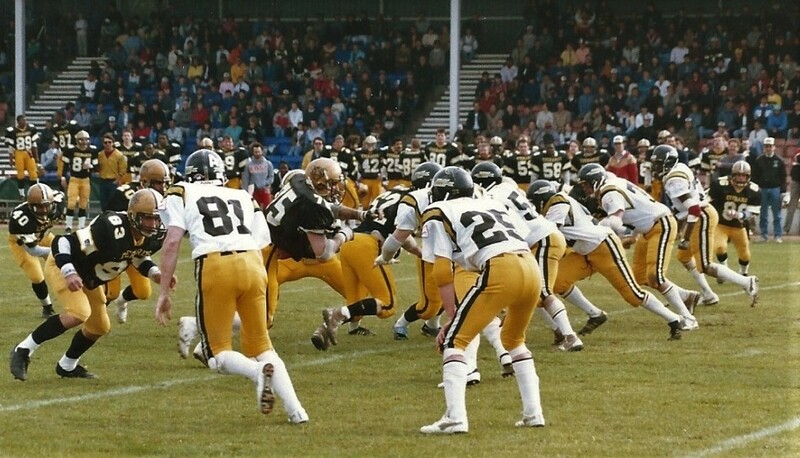 With the appointment of a new BAFA director with media connections, perhaps we can influence a terrestrial TV station to show game highlights (or at least the Britbowl in its entirety). I fail to see why Football doesn’t get the coverage that Ice Hockey and Basketball do in the UK, when statistics would show that Football has more “fans” than those other two American sports. Hopefully we can secure a major League sponsor with funds used to benefit all BNFL teams to an equitable level. In the past both Budweiser and Coca-Cola were League sponsors. With regard to the Britbowl, I propose that everyone registered with a British team (Players, coaches and administrators) should get free entry to the Britbowl. This should help ensure a good-sized crowd generating an excellent atmosphere (a British final between the London Ravens and Manchester All-Stars drew 14,000 to Loftus Road in the mid-eighties). Having attended a few Britbowls, it strikes me that if the people who are actively involved with the game don’t turn up to watch it, why would we expect the public with a more passing interest to be bothered. Nurture NFL connections - With the NFL continuing to use London for their International Series, we should reach out to Roger Goodell to invest more in the grass roots Adult game. Perhaps a pass and catch competition featuring pairings from the British senior league teams, on the field before a London game would help with exposure. Our friends at the Jaguars have instigated several excellent initiatives to encourage participation, they should be continued and built on. The new Board will, I’m sure, want to get the “Britball Nation” on side, to do this they may want to adopt a new mantra of “Progressive, Transparent and Accountable”. If I win the lottery, generous fool that I am, I will fund all these initiatives myself, but until then I offer my thoughts to the new BAFA board as a blueprint for Britball success. I am happy to help them with any other strategic support they need, they just have to ask.